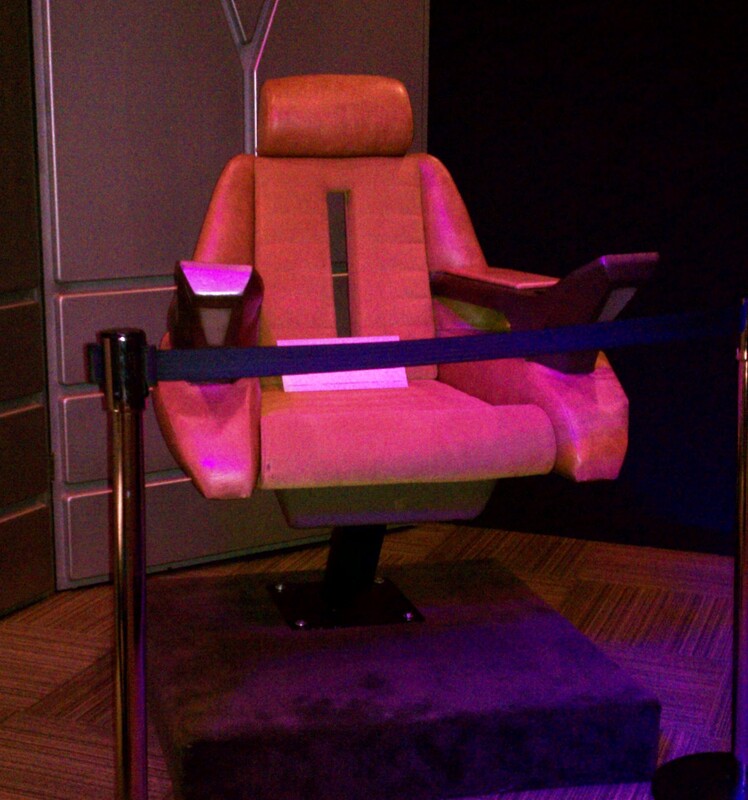 Star Trek captain’s chair – wish I had one of these! It’s Friday night again. Friday night is blog night. Sometimes it’s pizza night too, or sub (grinder, hoagie, submarine sandwich, whatever you call it) night. Once in a while, Friday is Chinese takeout night, though that’s usually reserved for Saturdays. When I was a young adult, Friday was going out on the town night. I wouldn’t have stayed home in front of a computer for anything. Of course, home computers hadn’t been invented then. But the point is not how old I am, but I suppose, how much I’ve changed over time. How staid, how settled, how quiet and domestic I’ve become. So much so, I don’t resent sitting here with my glass of wine and thoughts in my head that I want to put down on virtual paper. No, I’m reasonably happy with my choice. But, soon I am going to shake things up a bit. I can’t write if there’s nothing inspiring to write about, if I follow the same routines and the same patterns week after week. So here’s my plan. Next week, I’m going down to Florida to witness the Atlantis, the last space shuttle liftoff from Kennedy Space Center at Cape Canaveral. I’m going by myself, no company at all. I may not communicate with anyone. I may decide to be completely alone in the world. To find out if I am lonely or simply alone. Being alone isn’t a bad thing. In fact for an artist or writer, it can be quite refreshing. Loneliness is another thing entirely. I will probably be lonely. And I may or may not write while I’m there. I may just absorb the event and the wonder of it. I may have a delayed reaction to the scene. Or, I may be inspired to poetry, then and there. Maybe I’ll write a short blog from my smart phone. I don’t know how I’ll feel. That’s part of the draw, to figure out who I am and what I’m made of. What makes a person happy and content? What causes anguish and despair? I hope to find out for myself. Who am I? It is a strange question for a woman of my age to be asking, a woman who remembers a time without computers of any kind. It’s a teenage question, and surely, my character Glory asked it of herself over and over again in PERSEPHONE IN HELL. But I guess that wasn’t enough, the bloody coughing out of my story, painful as it was. The melancholy that washed over me as I wrote it is still present. I still want to find out why. I would like to know why. So I hope you wish me good journey as I head down to Florida. Remind me to look out for alligators, and to bring sun screen! I hope to come back a more whole, better realized, more self-aware person. A woman more capable of moving forward with joy in her heart. A friend who will choose blogs on some Friday nights, and dancing on others. A movie now and then makes good Friday night entertainment. Or a simple celebration of the Sabbath, which would be a miraculous thing for this woman, who is so set in her non-believing ways. Atlantis will lift off from earth, the final space shuttle mission, a true end to an era that began when a home computer was a thing of science fiction and the word blog hadn’t been invented. Forty years ago, Glory was inspired and kept from despair by the landing on the moon. I am inspired and hope to find joy in this final liftoff. One must try. I am reminded of the words of Captain Jean Luc Picard of the starship Enterprise. “Make it so,” he said so many times to his crew. Make it happen. Try your best, with faith that your best is good enough. Make your life worthwhile. That is exactly what I intend to do.